Demetrious Johnson has been at odds with the UFC, over the promotions intention to have him fight TJ Dillashaw, and now Daniel Cormier has offered his take on the situation. In recent weeks, Johnson has let it be known that he doesn’t think Dillashaw should be able to skip the line at 125 pounds, right into a title shot. He’s also reported that he wants the UFC to offer him some sort of financial guarantee, in case the former bantamweight champ can’t make weight. In addition, the flyweight champ has also accused White of bullying him, and of threatening to close the flyweight division if Johnson does’t take the Dillashaw fight. 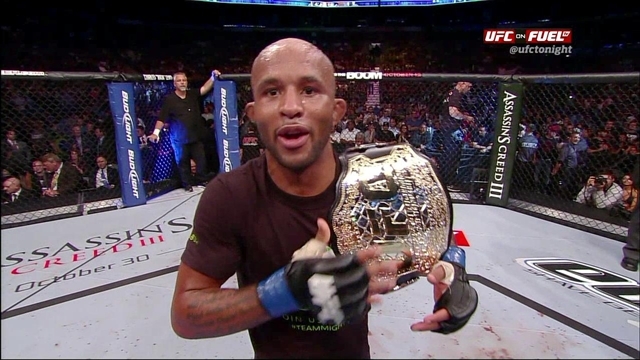 Johnson is currently ranked as the UFC’s best, pound-for-pound fighter, and has defended the flyweight title ten times.